In 1978, John Travolta received an Oscar nomination for his role in “Saturday Night Fever,” disco music topped the Billboard music charts, disco clubs – and disco wear – were all the rage, and a small Orange County-based orchestra called Pacific Symphony played its first concert. 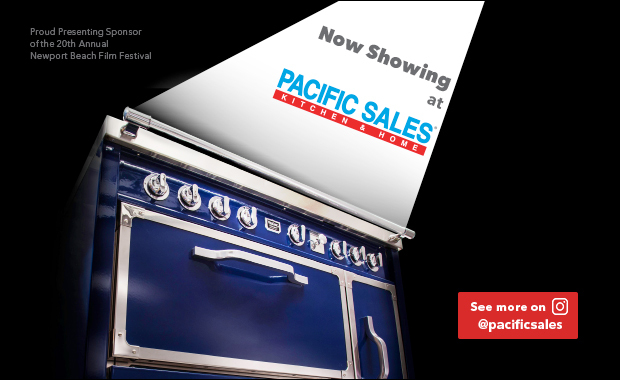 Flash forward 40 years to the Pacific Symphony’s 40th season, which began last fall and concludes later this spring. 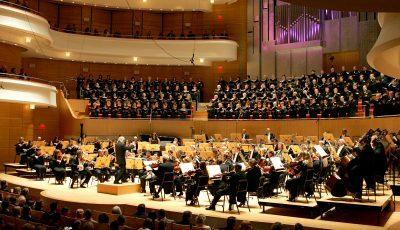 The largest orchestra to be formed in the United States in the last 40 years, The Pacific Symphony is now internationally renowned for its stellar musicianship under the baton of Music Director Carl St.Clair, who has been with the orchestra nearly three decades. 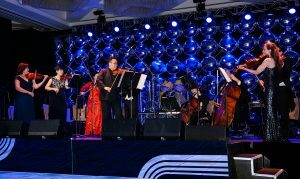 With this in mind, it made sense for the Pacific Symphony to look back 40 years for inspiration for its 2019 Disco Fever Gala held at the Hotel Irvine on Saturday, March 2. 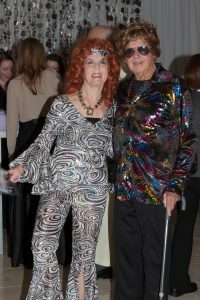 The gala invitation suggested 1970s attire, and many in the crowd of 400 guests did indeed go all out with bell bottom pants, colorful shirts, and of course platform shoes. 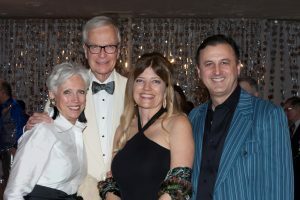 The evening’s gala chairs Ruth Ann Evans and her husband and Symphony Board Member John Evans, along with the gala committee, designed an exciting evening of all-night fun at Pacific Symphony’s own iconic Studio 78 (a recreation of New York’s legendary Studio 54 nightclub). 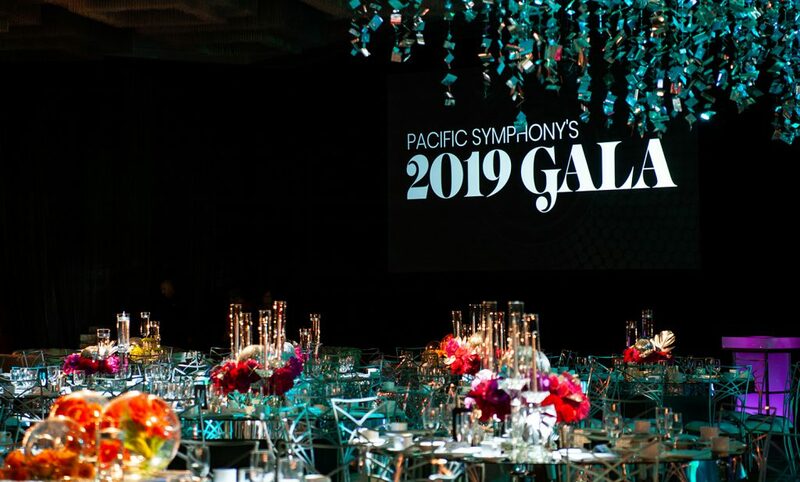 The event raised more than $1.5 million for Pacific Symphony’s array of music and education programs. 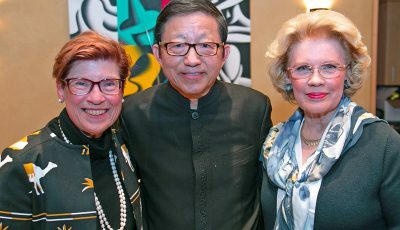 Ruth Ann and John Evans have been committed to the Pacific Symphony for more than three decades. 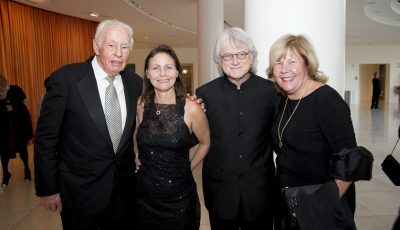 John has been on the board since 1987 and is a past chairman, while Ruth Ann has chaired two other Galas and three of the Symphony’s opening night events. The reception got underway at 5 p.m., as guests walked the red carpet and were presented with their own Studio 78 “VIP passes,” while paparazzi’s flashbulbs popped and guests posed. 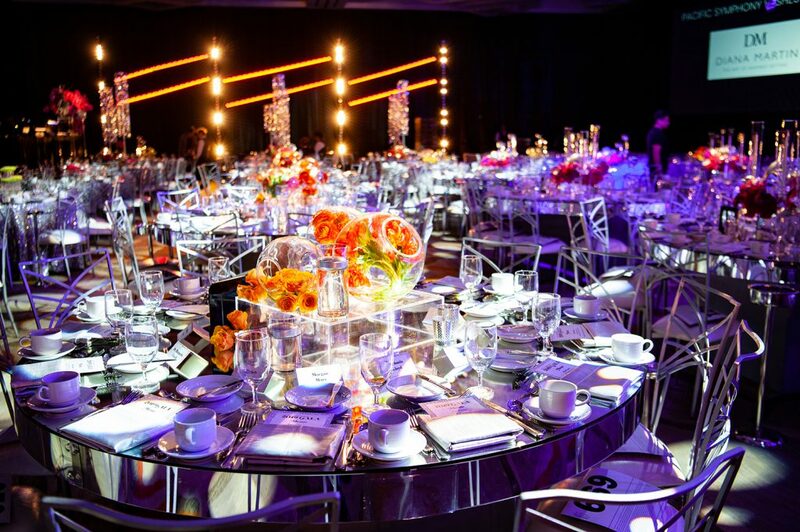 Once past the velvet rope, guests were greeted by aerialists and a champagne tower. Photo ops for guests included stepping into the cover of a 70s magazine or striking a pose in front of a larger-than-life disco ball. 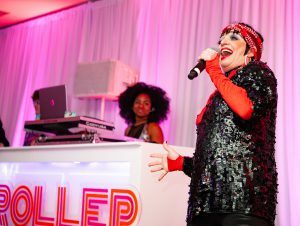 To create a 70s vibe, a movie theater played clips and scores from ’70s blockbuster films like “The Godfather,” “Star Wars,” “Rocky” and “Jaws.” A Bette Midler impersonator and Liza Minelli lookalike entertained the crowd, while dancing roller skaters and disco-attired wait-staff served hors d’oeuvres that included such ’70s favorites as fondue, quiche and beef wellington. In addition to champagne, such vintage cocktails as piña coladas and negronis were served. 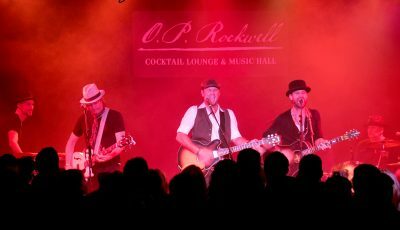 When the ballroom doors opened, an ABBA tribute band got guests in a dancing disco mood complete with disco balls, mirrors, fog, balloons and spectacular lighting. 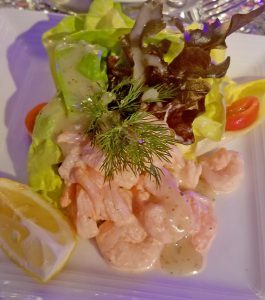 Dinner featured a bay shrimp cocktail on Boston lettuce with cognac sauce followed by Maine lobster bisque garnished with chives, jumbo lump crab and a cheese twist. The entrée was a thick filet mignon with Morel mushroom sauce along with a twice-baked potato and spring vegetables. As dinner continued, an ensemble of Pacific Symphony musicians performed “Summer” from Vivaldi’s “Four Seasons,” led by concertmaster Dennis Kim, who holds the Eleanor and Michael Gordon chair. 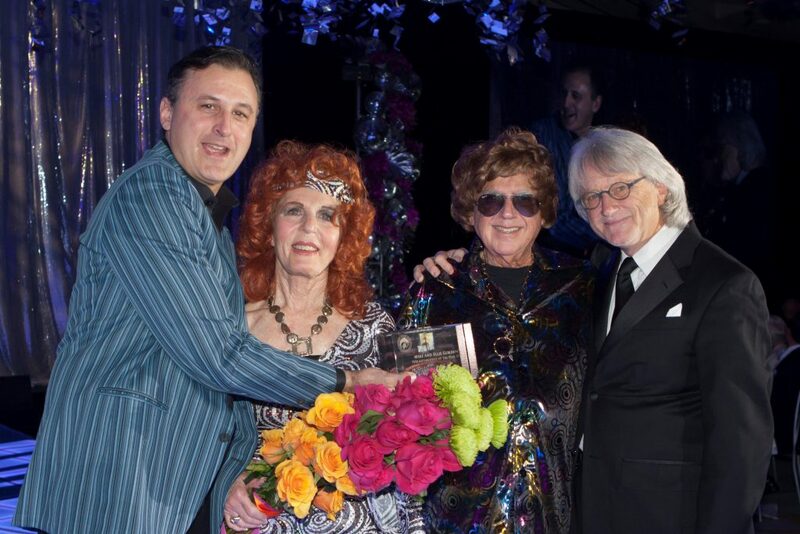 A video tribute to the Gordons was played and John Forsyte presented the “Philanthropist of the Year” award to the couple, who were dressed to the nines in authentic disco garb including wigs. 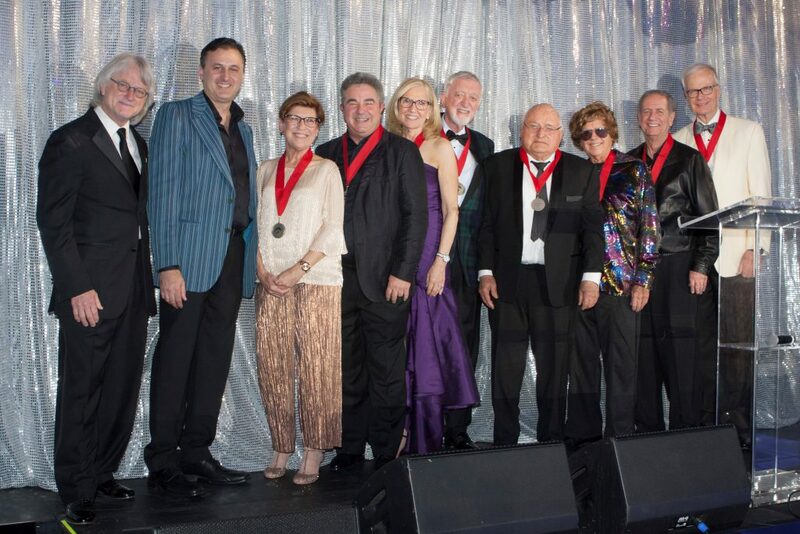 Forsyte went on to recognize six board chairs in attendance that night who were instrumental in steering Pacific Symphony from success to success, recognizing each one in turn while presenting a special medal commemorating their service: John Evans (1987-88), Doug Freeman (1998-2001), Mike Gordon (2001-04), John Stahr (2004-2006), John Daniels (2007-09), Sally Anderson (2009-13), Michael Kerr (2013-16), and the current board chair Joann Leatherby. As guests concluded their meal with a dessert of brown butter chocolate chip cookie topped with vanilla ice cream and chocolate sauce, the live auction got underway, led by Jim Nye. Altogether, the live auction raised $253,710, with Fund-a-Dream adding $389,000 to bring the auction totals to an impressive $642,710. 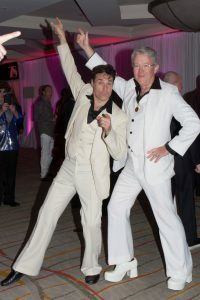 As the auction concluded, the party heated up when a John Travolta impersonator busted out disco moves while Bee Gees impersonators sang disco hits. At the conclusion of the evening, guests were treated to a box of delicious disco donuts to-go.